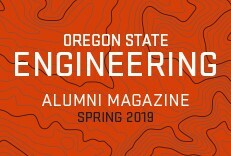 Welcome to the Oregon State University College of Engineering. Here you will find a community of learners dedicated to addressing some of the world’s most complex engineering challenges—from climate change to economic instability. 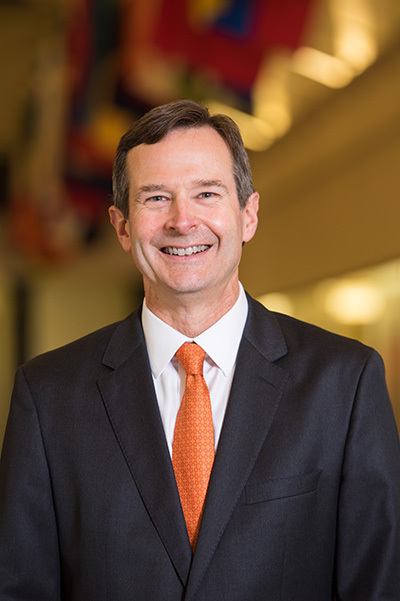 As dean, I have the privilege of leading this institution, a place where curiosity, compassion, and intellect combine to create breakthroughs that help us live better lives. Our position as an exceptional engineering program provides a vibrant learning culture and ample leadership opportunities for our students. Programs and clubs such as Formula SAE and Engineers Without Borders help prepare profession-ready graduates. High-impact research at the undergraduate and graduate levels—from safer bridge designs to next-generation robots—equip students with advanced skills and expertise that put them in a highly competitive position. In short, we educate some of the finest engineers. A large part of our success comes from our top-notch faculty. Our researchers see the challenge of limited resources as an opportunity to develop clean energy systems from the sun, wind, and waves—and to make these systems affordable. Faculty devise means to use industrial byproducts to make higher-performing bridges and roads, and they address increased demand for science and engineering graduates by developing personalized educational programs that use traditional and virtual learning environments. The College of Engineering’s strong alliance to industry ensures relevancy in classrooms and research labs. 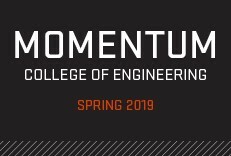 Programs such as the Multiple Engineering Cooperative Program, a business-education partnership, gives high-achieving students professional experience. Other partnerships include the Microproducts Breakthrough Institute, a unique collaboration focused on the development and commercialization of microchannel-based technologies. Every year, the college is increasingly turning discoveries into commercialized innovations that support our mission of building solutions for healthy people, a strong economy, and a sustainable environment. 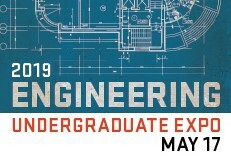 I am extremely proud of the learners, leaders, and thinkers who make up the College of Engineering. And I’m honored to be part of a team of people who aren’t just about making something happen, but making something better.